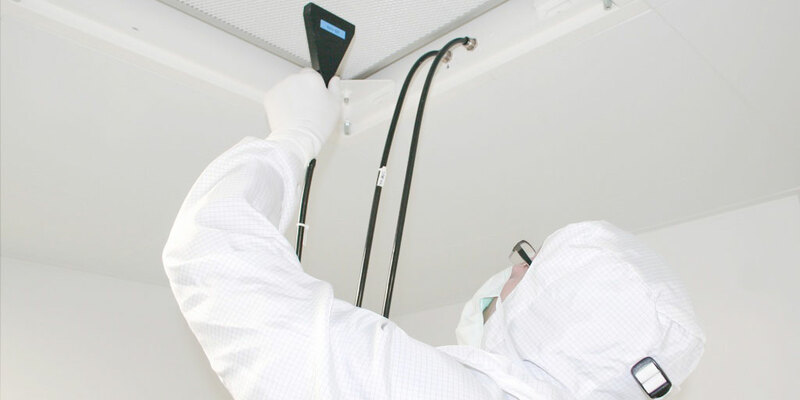 bc-technology GmbH stands for innovative and efficient cleanroom technology. 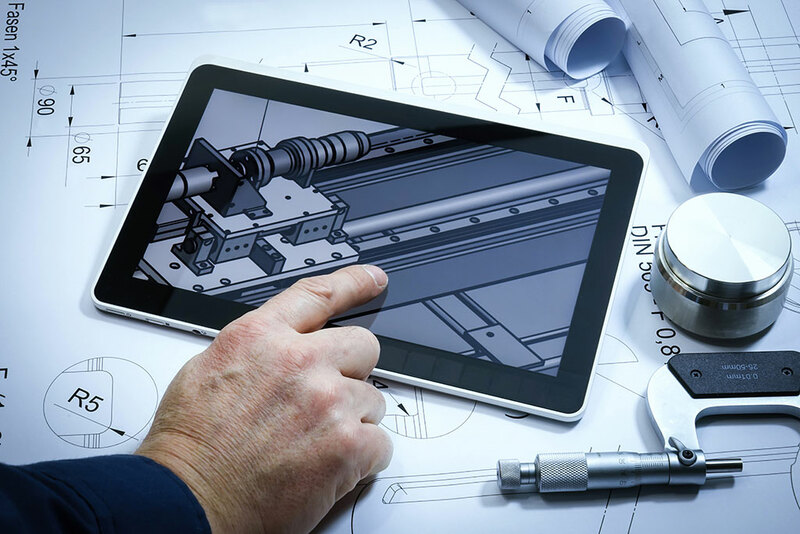 As a full-service partner, we deliver our customers reliable support through all project phases, including planning, implementation and service. In addition to clean working areas, turnkey cleanroom and lock systems, we also offer comprehensive services in the field of cleanroom qualification and training. An additional priority is the development and implementation of customer-specific cleanroom systems. Continuous further development is an essential factor in our success, which is why we are working on specific research projects in close collaboration with universities. Cleanrooms are mostly custom-made. 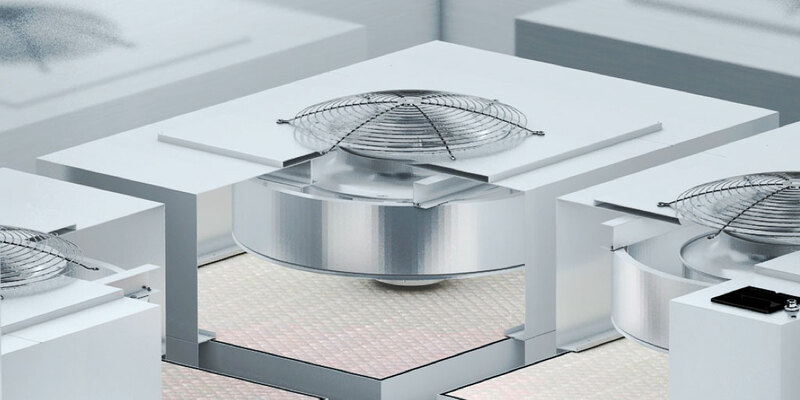 Therefore, in addition to standard products, we produce simple and complex customer and application specific cleanroom systems made to measure, exactly as you need them. True to the motto: "As much cleanroom technology as necessary, as little as possible." Our service portfolio covers the entire spectrum: from equipment engineering to plant construction to cleanroom qualification and maintenance. We plan, design, realise, program and qualify your cleanroom. Of course, we also offer all services individually, the choice is yours. 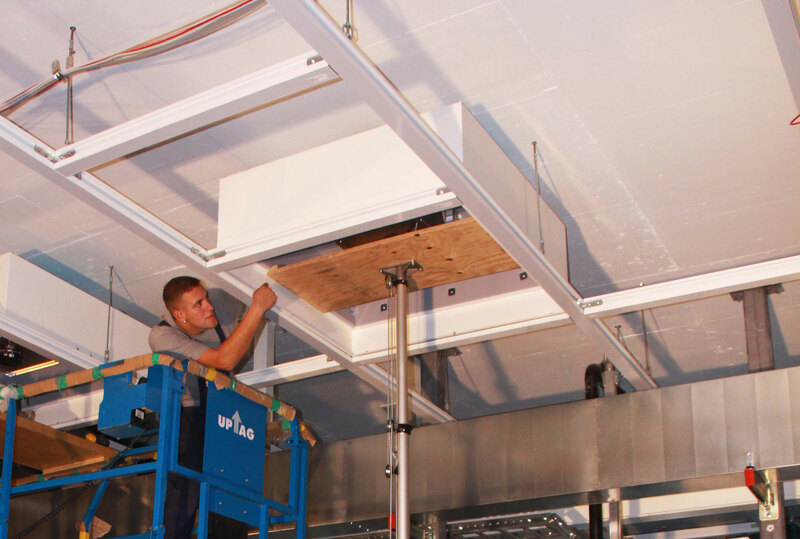 As one of the few companies in the industry, we manufacture all the essential components of the cleanrooms (ceilings, walls, Filter-Fan-Units, recirculation systems, etc.) within our group of companies and also have our own sheet metal processing. Your advantage: All components are of high quality and optimally coordinated. 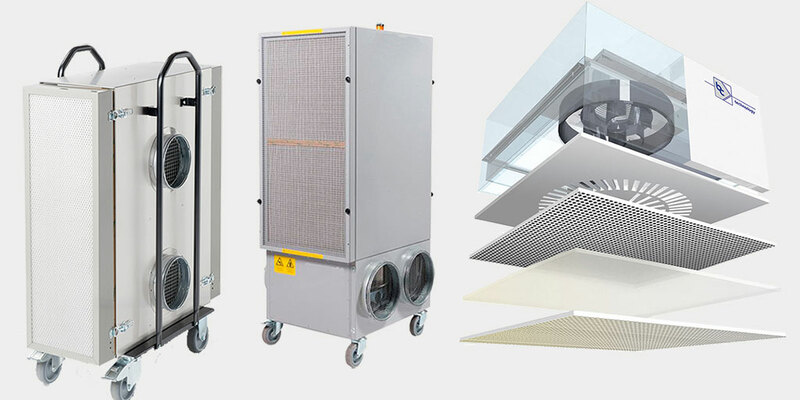 Every industry makes different demands on cleanroom technology. 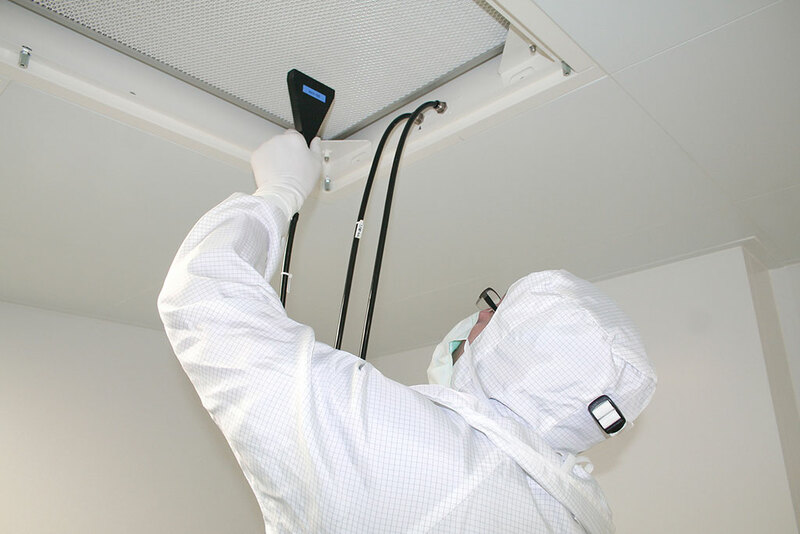 We have therefore optimised our cleanroom equipment for specific applications. 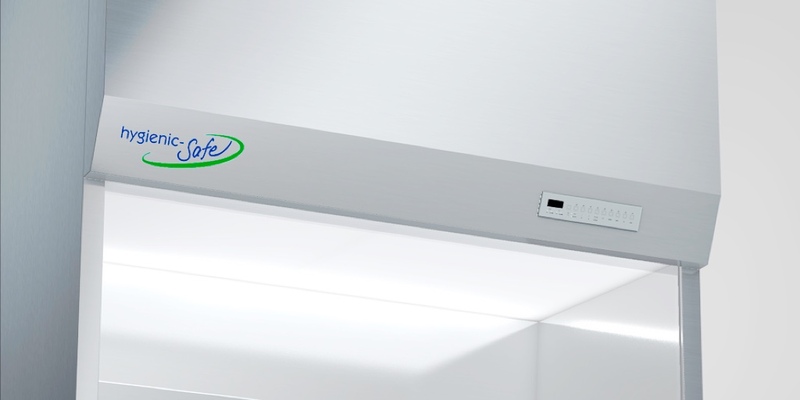 Choose between the lines "HygienicSafe", "ParticleSafe" and "UniSafe", depending on the requirements you have for your cleanroom workplace. We know: Innovation is the basis of our success. Therefore, in our own research and development department we continue to develop our equipment technology. In addition, we work closely with several universities and realise joint research projects. The continuous improvement process is an integral part of our quality management system. We promote product, process and service quality with continuous small improvements. 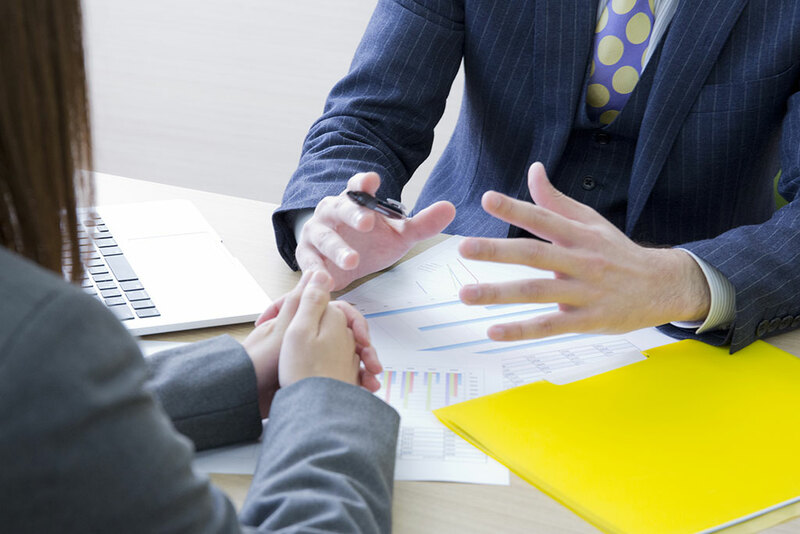 We know the different requirements of the individual industries and advise you comprehensively, individually and personally. 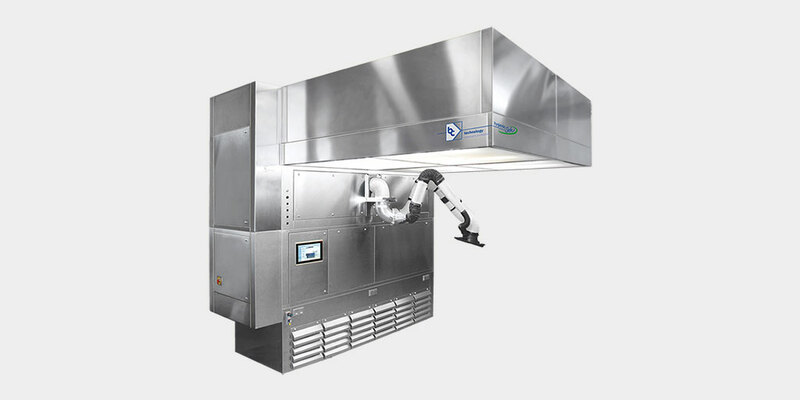 Whether turnkey cleanroom systems, CleanoFlex cleanroom systems, cleanroom cabins, mini-environments or laminar flow devices, workplaces and housings, we design the optimal solution for your application. We plan and program ourselves. Exactly tailored to your application, we develop customised solutions according to our strict quality management system. 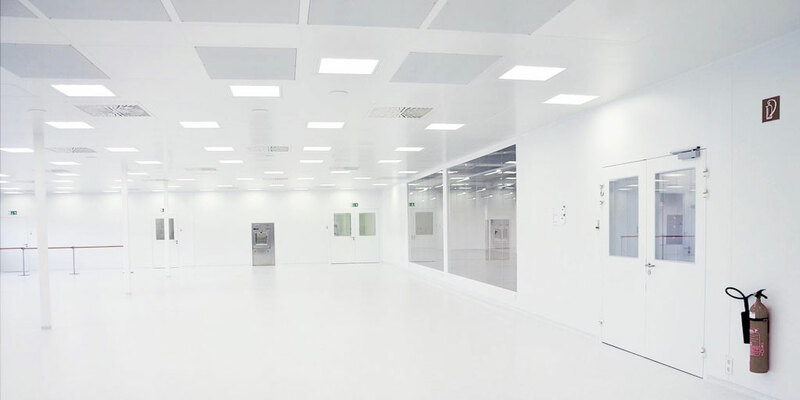 We have an extensive portfolio of cleanroom technology at our disposal. A team of experienced engineers, technicians, traders and fitters will accompany you throughout the project. Thus, you always have a competent contact person at your side. We support you even after the commissioning of your system. We remain your competent and reliable partner as part of a comprehensive cleanroom management or individually tailored requalification and maintenance concepts. 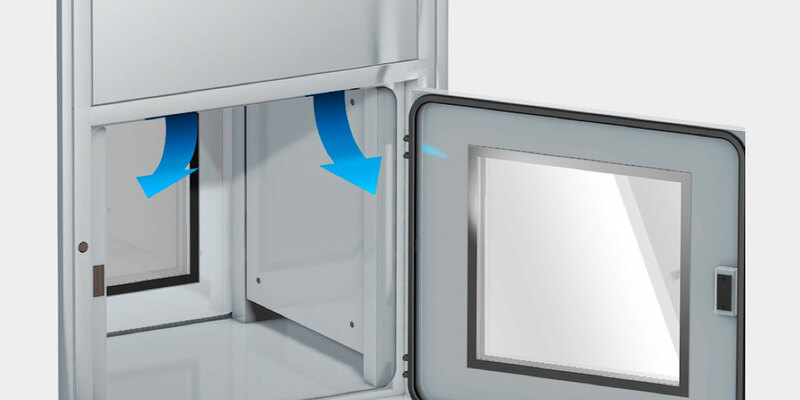 GMP-compliant weighing cabins for weighing and sampling of active ingredients and additives that meet the highest standards for the handling of hazardous substances. 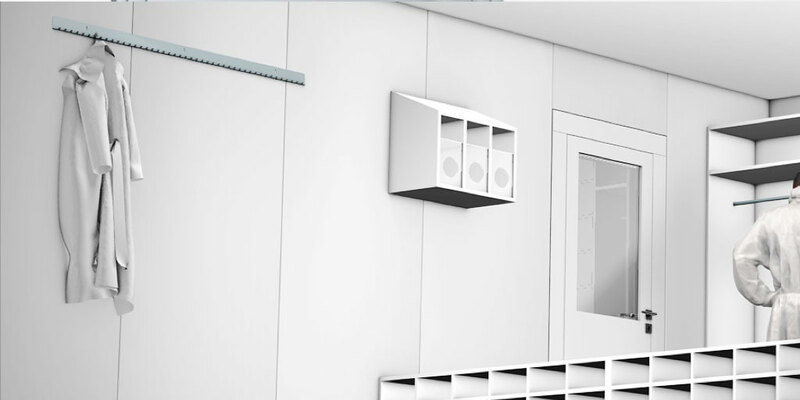 Large assortment of cleanroom air locks and material pass boxes for the controlled inward and outward transfer of products and materials between rooms of different purity classes.